We are all used to having power at our fingertips, but next time you turn on the lights, take a moment to think about where that power comes from. In the Netherlands and Germany, it was very likely brought to you by us, TenneT. We own around 23,000 kilometres of high-voltage lines and cables, transporting electricity to 41 million homes and businesses. You may not have heard of us. That’s fine. We’d rather you noticed you always have electricity, at the flick of a switch. 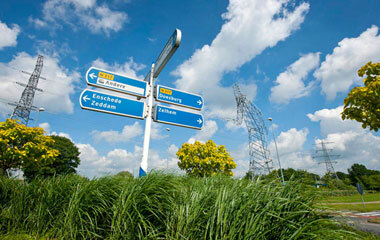 The Netherlands, and a significant part of Germany, rely on our services 24 hours a day, 7 days a week, 365 days a year. Without us, you could not use your computer, keep your food fresh in the fridge, charge your phone, watch TV, catch the train to work, use the ATM or even switch on the lights. Not to mention there would be no cars, clothes or appliances because factories need electricity. Everything that runs on electricity is powered by us. Without electricity, we’d struggle to survive in our always-on, connected world. Fortunately, our track record means the lights don’t go out. Our service level is as high as 99.99%. We are one of the best in the world at our job. Our task is complicated by the rise of renewable energy. Concerns about the safety of nuclear power, future fossil fuel shortages and global warming, are turning the market away from traditional electricity production and European governments want us to integrate more energy from renewable sources in our grid. This is called ‘the energy transition’. Our story goes back to the earliest days of electricity, when electric lamps first began to replace candles. Dutch electrical pioneer, Willem Benjamin Smit, built the country’s first power station, primarily to provide electricity for his family’s homes and businesses. That was in 1886. By 1920, there were 550 municipalities providing electricity to their communities and Amsterdam was one of the most electrified cities in the world. These local providers joined forces to create the first national grid operator in 1949. This Association of Electricity Producing Companies (Samenwerkende electriciteitsproduktiebedrijven, or ‘SEP’) was TenneT’s predecessor. We became TenneT in 1998, when the Dutch government formally appointed us to operate the country’s national high-voltage transmission grid. In 2010, we acquired the German high-voltage grid from E.ON, making us Europe’s first cross-border transmission system operator. In Germany too, our roots are steeped in history. Our predecessors here date back to the 1920s, when the Prussian state electrified the north-west of Germany and bundled its electricity producers into a company called PreussenElektra. 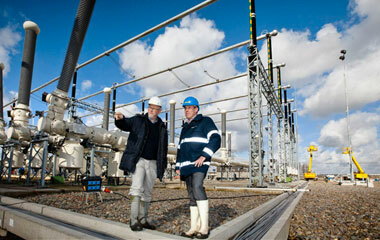 Around the same time, Bayernwerk AG built a national 110-kV grid in the south to supply the whole country. Years later, when Germany´s electricity market was privatised in 2000, their successors became E.ON. Being a grid operator makes us responsible for the security of the electricity supply and for maintaining the grid balance. This goes far beyond just keeping the lights on – it involves critical tasks such as the upkeep of the grid, investing in new infrastructure and ensuring all market parties can access the grid. To keep the balance between supply and demand, we have sophisticated control systems to ensure that electricity generation closely matches users’ demands. This is crucial, because if the demand for power exceeds supply, it can lead to a blackout. To prevent such outages, we are plugged into the wider North West European energy network. We play a prominent role in developing a cross-border market for distributing electricity in the region. We believe cross-border transmission is the key to a sustainable, stable and reliable energy market. That’s why we invest in physically connecting our grid with those in other countries. A challenge we face is that power generated by wind or the sun cannot be turned on and off as required. Nor can electricity be easily stored. Previously, to balance the grid we could ask a producer to generate more or less electricity. With renewables this is not possible. Its availability is therefore unrelated to demand or price. This volatility requires a new mechanism for buying and selling electricity. Another challenge is bringing this energy to the end user. 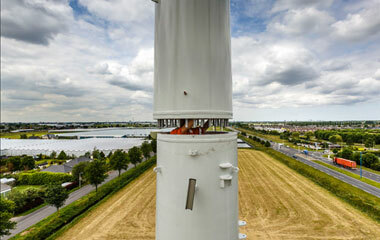 For example, the wind turbines out in the German North Sea are around 80 km from the coast. How do we get this power to a factory 800 km further south? To minimise disruption to residents, we try to find new ways for transporting this vital power across the country. All these changes and developments require a sturdy grid. The government ultimately decides when and where a grid should be built. We advise them on possible locations for new high-voltage cables, taking into account factors such as habitation and scenery and weighing financial considerations. As an engaged and responsible company, we believe dialogue with residents and other interested parties is crucial to this process. In the rapidly evolving energy market, change is all around us: political, technological, social, environmental and economic. As a connected and engaged grid operator, we are at the epicentre of the change, and must constantly adapt to developments, as well as predict what is yet to come. The most fundamental change is the transition to renewable energy. By 2030, the EU wants 30% of its electricity to come from renewable sources. To facilitate this we must strengthen and expand our grid to accommodate these new electricity sources and society’s growing need for electricity. We are also seeing the rise of the ‘pro-sumer’, as more people generate their own electricity. This is changing the numbers and scope of market participants, creating a two-way distribution model, which completely changes the dynamic in the grid. As these exponential shifts occur all around us, our mission is to be as flexible as possible, facilitating this important transition for the benefit of society. So, next time you switch on the lights, please take a moment to think about us, what we do, and how we work tirelessly to keep you connected and comfortable. TenneT Holding B.V. was established to segregate our statutory tasks from our non-regulated activities. It is wholly owned by the Dutch Ministry of Finance.